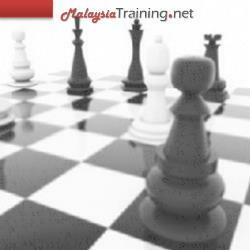 This program is suitable for Managers, Human Resource Personnel, Heads of Department. This 2-day Strategic Management Essentials training program provides organization with the insights to link strategy to workforce and organizational performance so that all resources and efforts are focusing on achieving business goals. Managers, Human Resource Personnel, and Heads of Department are encouraged to attend. Establish a strategic link between business strategy, performance and people. Create a strategic link between organizational mission(s) and departmental critical success factors (CSF). Establish departmental key performance indicators (KPI) to measure workforce performance on CSF. Develop a strategic departmental competency framework and incorporate into the workforce performance and potential assessment. Foster the key disciplines to sustain best work practices to link strategy, performance and people. Implement performance and potential assessment effectively.